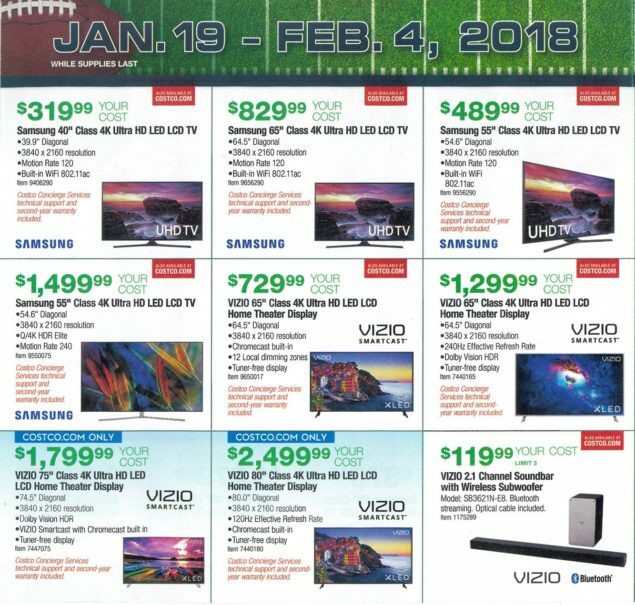 The Costco Super Bowl TV Deals for 2018 start today, January 19th. They’ll run through February 4th, which is the actual day of the Super Bowl. If you click the link above it will take you right to all the deals so you can view them. Every year Costco puts out a supplemental coupon book with these special deals. Make sure to take a look so you know which TV or other electronic items you might want to pick up at your local Costco before the Super Bowl. You can also take a look at the January 2018 Costco Coupon Book if you want to pickup some Super Bowl snacks or see what the price is of the LG OLED TV’s after coupon. The Costco Super Bowl Coupon Book is also referred to as the Big Game Savings Book. There are 11 TV deals and 10 other electronic items on coupon. 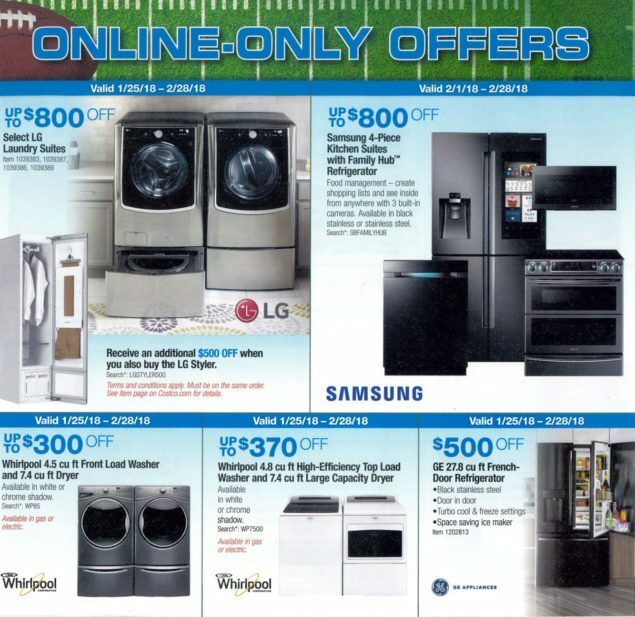 There are also five appliances on sale on the last page that are online-only offers. The best deal is probably the Vizio P65″ 4K Ultra HD LED LCD at $1,199.99. 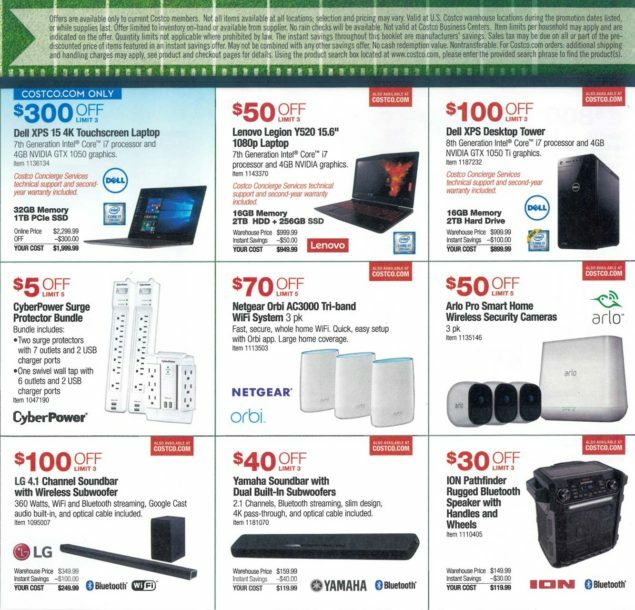 In the Super Bowl TV deals booklet it’s listed at $1,299.99, however, it looks like Costco has dropped it another $100, probably to beat or match a competitors pricing. The picture quality is going to be very high on this set compared to most TV’s in store. 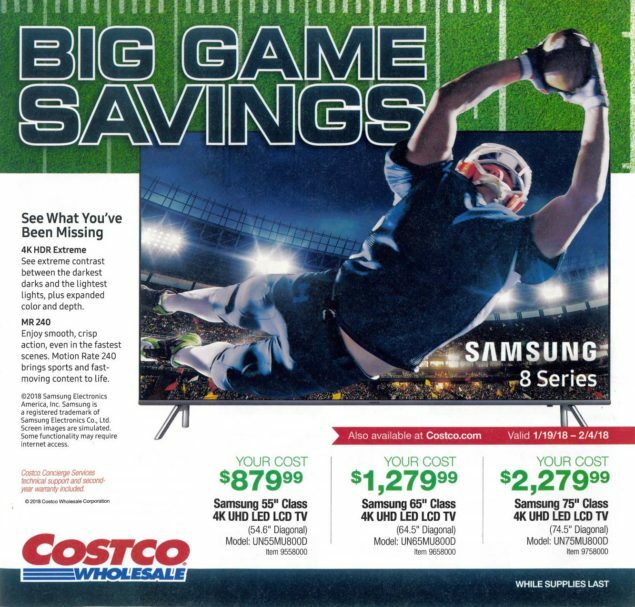 Another TV that is a great super bowl deal but is not in this coupon book is the LG 75″ Ultra HD LED LCD TV on Costco.com at $1,399.99. Which TV Deals stand out to you as great buys? With TV technologies and abbreviations getting more confusing by the day it can be hard to decipher what the best deals are, so we hope we can help you pick the TV set that’s going to make your Super Bowl party the talk of the town!